Provide integrated arts activities – storytelling, drama, music, movement, and visual arts for people with special need in eight to ten week blocks. 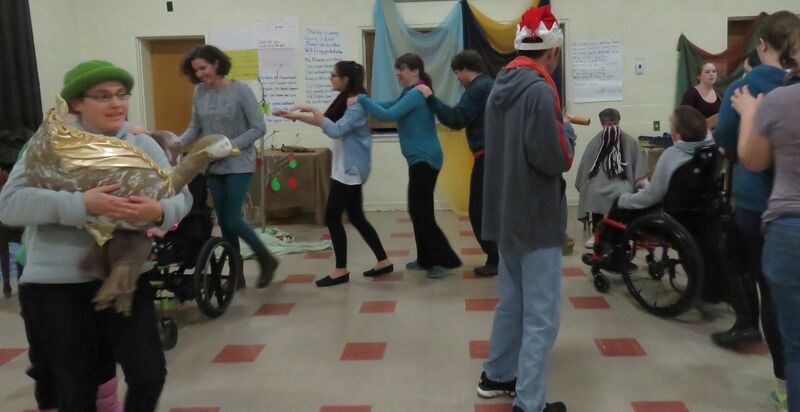 Other programs include Community "Jam Dances", and individual assessments and educational support for children who have learning disabilities. Workshops are available to teach others how to run these programs. To enhance the cognitive, physical, social and emotional life of children and youth through engaging in the arts.